in Hall 3 at the Avalon Airshow! ASK AMERICA in the USA Partnership Pavilion at AVALON 2019. 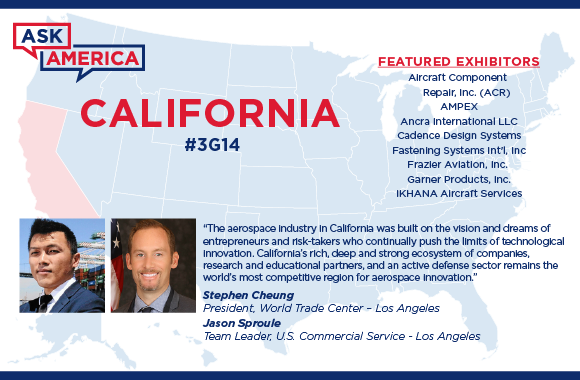 Among the many reasons to visit the Australian International Airshow and Aerospace & Defence Exposition held at Avalon Airport in Geelong, Victoria, the USA Partnership Pavilion features America’s most innovative partners, products and services. More than 80 American companies are exhibiting at this year’s event, a majority in the USA Partnership Pavilion, organized by Kallman Worldwide in coordination with government agencies, including the departments of Commerce, Defense and State. Visit the Pavilion on-site in Hall 3 to find American suppliers who can help you gain a competitive advantage in any market sector anywhere in the world. Come back often to check the latest industry headlines from our media partners — and join the #USPavilion conversation at #Avalon2019 with our live Twitter feed. Aero Engineering Support Group specializes in providing test and repair solutions on a wide range of support for military and commercial avionics including Accessories, Circuit Card Assemblies, Power Supplies, Inertial Navigation Systems, Central Air Data Computers, Gyros, Heads Up Displays, Counter Measurement Equipment, Radars, Instruments, Platform Assemblies, and much more. We provide innovative solutions and services to support complete maintenance capability. AESG delivers high-quality, cost effective test solutions and complex electronics repair support throughout the world. AeroLEDs was formed in 2006 with the intent to redefine aviation lighting as it existed for the last 50 years. With great attention to engineering function balanced with due consideration to product form, we have redefined the expectations of what and how aircraft lighting will be judged. AeroLEDs is a leading MFG of Landing, Taxi and Navigation lighting for aircraft ranging from home built experimental to special use military applications. The Alabama Department of Commerce facilitates businesses interested in participating in Alabama's economy, either by existing companies exporting products, expanding their operations or new companies exploring a location in Alabama. Assistance includes business cost and tax modeling, location assistance, workforce and wage data. Commerce can also assist with industry data for potential partnerships and supply chain. Ampex Data Systems Corporation (“ADSC”) is a wholly owned subsidiary of Delta Information Systems. Inc and headquartered in Hayward, California. Products are offered in major overseas markets through distributors. Principal products produced by the company are high-capacity, high-performance digital storage systems capable of functioning in demanding environments on land, at sea or in the air. ADSC products are principally used in applications to gather digital images and other data from aircraft, satellites and submarines. These products are also used in flight and sensor test applications. Airbus Defence and Space Chooses AMPEX to Support Canada’s Search and Rescue Aircraft Replacement. AMPEX awarded contract by Airbus Defence and Space to supply TS222 Multi-channel Video Recorders. The CC-295 variant of the Airbus C-295 will be the new FWSAR aircraft for the Royal Canadian Air Force, replacing the CC-115 Buffalo and the legacy CC-130H Hercules fleets. The turbo-prop C-295 is in use in 28 countries, mostly for military transport, but also for maritime/overland surveillance and antisubmarine warfare. Ampex's TS222 records/encodes/reproduces/streams SD & HD-SDI video with embedded metadata. The TS222 supports simultaneous recording, reproduction, and streaming of HD and SD video. Read more. Ancra is a world leader in the design, manufacturing, and after-sales support of aircraft on-board cargo handling equipment. Ancra also designs and manufactures a variety of aircraft interior specialty hardware including specialty aircraft equipment such as seat/mission pallets, cargo bay nets, and window plugs. Our newest portfolio of solutions feature design, development, and production of thermal and fluid management systems. Ancra can also support your build-to-print production needs with our AS9100 certified manufacturing environment at our machining centers located in the USA and Mexico. Arizona Commerce Authority is Arizona's statewide economic development entity and manages the state's business incentive programs. ASTec Metalworks world class capabilities in 5-axis simultaneous machining and complex sheet metal forming enable you to count on us as a single source for your Aerospace & Defence metallic requirements. We are production program oriented, with demonstrated performance for quick turn prototype service and competitive pricing. Our talented manufacturing, quality, and operations teams assure product excellence and timely deliveries. ASTec Metalworks actively pursues the manufacturing challenges!! ASTec takes on the challenges that most of our competitors pass up. We are proud to take on the challenges that most of our competitors pass up due to difficult to machine materials, tight tolerances, surface complexities, and difficult delivery schedules. Although the majority of what we do comes from the aerospace and defence industries we also manufacture parts for diverse industries including automotive, rail, space, and commercial customers. Avalex is a lead innovator in the design and manufacture of rugged surveillance equipment. With 25 years of experience in every aspect of the development of displays, smart displays and tablets, mapping systems, digital video recorders, cockpit management units, and mission computers including hardware and software integration. Avalex incorporates the latest technologies to customize products to meet specific customer requirements. We are pioneers. We were the first to break the sound barrier and to certify a commercial helicopter. We were aboard NASA’s first lunar mission and brought advanced tiltrotor systems to market. Black Diamond Advanced Technology (BDATech) is a demonstrated leader in the tactical computing and communication systems industry. Our focus is on the Dismounted Operator and providing them with innovative, trusted technology to ensure mission success. We specialize in creating customized hub systems that are engineered to withstand any environment and control a variety of missions. Because when it matters most, you want something Built. Trusted. Proven. Black Sage offers an end to end solution for UAS defense. The UASX platform combines multiple layers of state of the art hardware and software for a complete counter-UAS solution. UASX stations are modular and enable scaled coverage across large geographic areas. Multiple range capabilities are available to meet the needs of the smallest and the largest sites. UASX can be pole-mounted, tripod-mounted or vehicle-mounted; and readily integrated with external control and alarm systems using standard internet/network protocols. Cadence is a leading global provider of cutting-edge, field-proven technologies for designing and verifying electronics systems. Our customers use Cadence® software, hardware, and semiconductor IP and services to deliver products to market faster. The company’s System Design Enablement strategy helps customers develop differentiated first-pass success, future-proofed electronic systems products—from chips to boards to systems—in aerospace and defense, automotive, industrial, IoT, mobile, consumer, cloud datacenter, and other market segments that are delivered on budget and on schedule. CTSi provices technical solutions and services for the Department of Defense, NASA and commercial customers. The company's engineers and program managers specialize in high-tech solutions for customers' high-tech programs. These programs include the Navy's Unmanned Combat Air System, the Next Generation Jammer program, and several Unmanned System programs such as the NASA Generic Transport Model program. CTSi also provides training courses for Systems Engineering and other highly technical navigation programs. Mudbucket allows rapid, low-risk, costeffective avionics upgrades for military / civilian aircraft. “Open Architecture” is a powerful, idealistic notion, affording flexibility and scalability in system integration. But, few have truly implemented Open Architecture within military systems, whether ground-, surface-, or airborne-based. The Multiplex Data Bus Controller Transmitter Translator (MDBCTT), otherwise known as Mudbucket®, is a patented technology that has successfully demonstrated open-architecture upgrades to various platforms in the US DoD. We will discuss the system’s origins, past and current projects, and future implementation across various platforms. Click here for additional information. Since its establishment, Dillon Aero has fielded and supported more than 6,000 weapons systems in more than 30 countries. Our products are superior in their cutting-edge design, as evidenced by their reliability and ease of use. 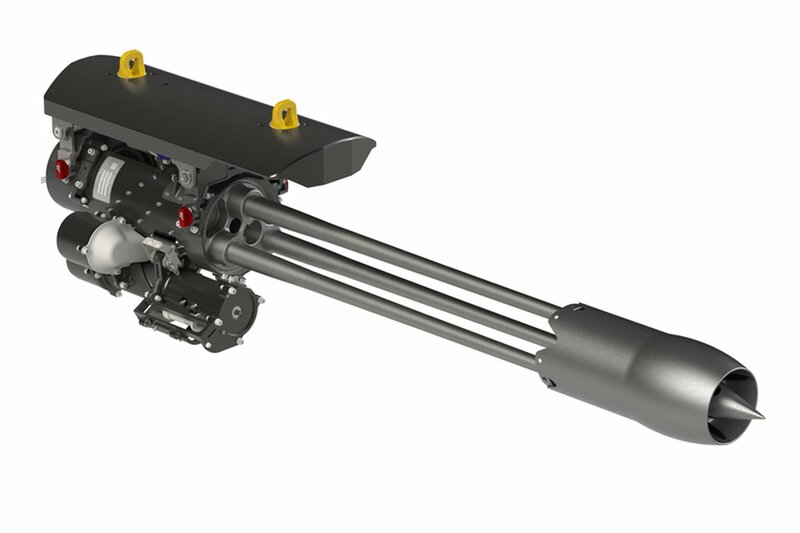 As a result of the phenomenal success of our Minigun weapon family, Dillon has been awarded over 375 contracts with the US Government, in addition to numerous other key projects. With decades of history and proven performance behind us, Dillon remains committed to building and maintaining the best. Our name is our reputation. Dillon Aero new .50 Caliber Gatling Gun ready for release soon. 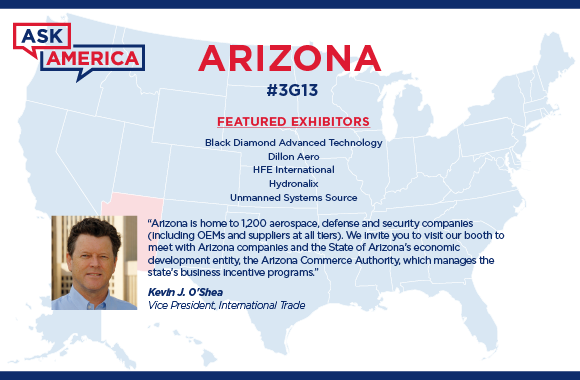 Dillon Aero has been working hard for some time to support the Warfighter in their efforts to combat terrorism around the globe. We have listened to the feedback from our many customers asking for a higher caliber Gatling Gun to compliment the M134D "Minigun", and we have delivered. The new 503D (.50 Caliber 3 Barrel Gatling Gun) will soon take over the market for Air, land and Sea troop support with a more powerful punch. Fastening Systems International, Inc. is a leading manufacturer of Sheet Metal Mechanics and Composite Material Repair tool kits. Specializing in blind rivet tool kits featuring mechanical, hand hydraulic, air-hydraulic and 18v & 12v DC cordless operated riveters. FSI inventories a wide selection of aerospace rivets. FSI is an authorized distributor and repair center for Pop/Avdel, AVK Industrial Products, Cherry Aerospace, Hi-Shear HS Tooling, Huck/Arconic Fasteners, Gesipa/Olympic Fastening Systems, Makita Industrial Assembly Power Tools, Sioux Air Power Tools and Zephyr Tool Group/Lok-Fast. The PT-4500H & PT-4500 battery operated cordless riveters provides ergonomic design with optimum speed and reliability for installation of single action aerospace rivets thru 1/4” diameter. The PT-4500 series riveters are the perfect solution for light production, MRO, BDR, and mobility kit use. Click here to learn more. FLIR Systems, Inc. is a world leader in the design, manufacture, and marketing of sensor systems that enhance perception and awareness. The Company’s advanced thermal imaging and threat detection systems are used for a wide variety of imaging, thermography, and security applications, including airborne and ground-based surveillance, condition monitoring, manufacturing process control, search and rescue, drug interdiction, navigation, transportation safety, border and maritime patrol, environmental monitoring, and chemical, biological, radiological, nuclear, and explosives (CBRNE) detection. Frazier Aviation is a comprehensive aerospace and space component manufacturer and licensed FAA MRO facility, who has always focused on building relationships using close customer contact and direct communication. 5 axis machining capabilities, 7 axis FARO inspection stations, sheet metal versatility, and MRO expertise, allows them an advantage to respond to almost any requirement. They guarantee your part is built to the highest quality, specifications, and most importantly your standards. At Frequence, our wireless offerings are ready to be deployed in even the toughest of industrial, emergency response, and military situations. We have modernized headsets by untethering them and incorporating a video camera into the headset to simplify operation for the personnel in the field and increase situational knowledge during and after the operation. Garner is the world leader in agile data elimination. We design, manufacture, and sell hard drive degaussers and destroyers that deliver complete, permanent, and verifiable data elimination; including our NSA/EPL degausser and destroyers. Our products have been tested and certified by independent labs to meet safety and electromagnetic emissions standards worldwide; US government and military installations deploy Garner products around the globe. Garner TS-1 deployed by the 7th Fleet and forward air support units for NSA/EPL media sanitization. Garner's 60 years of experience in data elimination was chosen to protect the 7th Fleet's data. Garner's top of the line NSA/EPL TS-1 degaussers were deployed by the 7th Fleet and forward air support units to protect the data that ensures military TOP SECRET data are protected. From the office to the battlefield, Garner has a full range of data elimination products that eliminates risk of data breach from end-of-life cycle storage media. As these command units traverse the world, Garner's TS-1 ensures no data is left behind. Click here to learn more. General Atomics Aeronautical Systems, Inc. (GA-ASI) is a leading designer and manufacturer of proven, reliable Remotely Piloted Aircraft (RPA) systems, radars, and electro-optic and related mission systems, including the Predator® RPA series. GA-ASI provides long-endurance, mission-capable aircraft with integrated sensor and data link systems required to deliver persistent flight that enables situational awareness and rapid strike. In 2017, GA-ASI formed Team Reaper Australia to provide world-class Australian industry capability for development and support of the Reaper system in Australia. Designed to meet the evolving challenges of aircrew and aircraft maintainers, and the exacting requirements of militaries worldwide, Gentex Corporation has designed and built flight equipment conforming to U.S. Military specifications for over 65 years. Gentex enforces a strict quality management system, recognized by international quality certification bodies, and maintains test and evaluation facilities for noise reduction, and impact, ballistic, and environmental resistance to ensure every product meets the published performance requirements. HFE International is an ISO 9001:2015 certified company to address the growing demand for reliable small engines. The target markets for HFE include unmanned aircraft and ground support equipment. HFE provides a suite of products as well as technical support staff to design customized electronic fuel injection systems and generator systems for any customer engine. HHI is a fabricator of high quality maintenance stands for all military aircraft. Including all fixed/rotary wing aircraft. HHI has already proven itself by providing C-17 maintenance stands to the 36 SQD at Amberley AB. HHI will customize the stands to fit each of our customers needs. Other capabilities include tire trailers, ground support equipment, hangars, blast/paint booths etc. We will be in the US Pavilion with Utah World Trade Center booth #3A7. HHI provides C-17 Engine Maintenance Stands for RAAF Base Amberley. Newly constructed engine maintenance stands are used specifically for the C-17's major inspection service known as the Home Station Check or 'HSC'. The stands were built to increase efficiencies, create easier access and increase safety. HHI has experience in shipping and installation of it's maintenance stands to countries such as Canada, Chile, Romania, UK and Australia. HHI also custom builds it's maintenance stands. Click here to learn more. 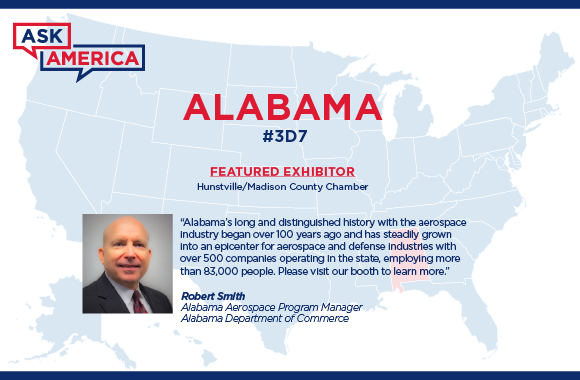 The Huntsville/Madison County (AL) Chamber represents more than 300 aerospace and technology companies in North Alabama. Home to NASA’s Marshall Space Flight Center, the US Missile Defense Agency, US Army Materiel Command, and the US Army Space & Defense Command at Redstone Arsenal, the Huntsville region is a center of excellence for commercial, civil and defense aerospace. Ranked among the fastest growing and best places to live in the US, Huntsville has the workforce, customers, suppliers, infrastructure and quality of life to support international growth and investment. Blue Origin broke ground in January on an engine manufacturing facility in Huntsville, Alabama, that will produce BE-4 and BE-3U engines for ULA and Blue Origin rockets. Click here to read more. BAE Systems broke ground on a $45 million manufacturing facility in Huntsville, Alabama in 2018. The project will bring hundreds of jobs to the local economy and will substantially expand the company's presence in this aerospace and defense community. Click here to read more. EOS establishes a landmark US manufacturing facility in Huntsville, Alabama. Announced in June 2018, the project will create more than 100 jobs at the company's US subsidiary, EOS Defense Systems USA. Click here to read more. At Hydronalix, we pride ourselves on exceptional quality. In an ever-evolving industry, Hydronalix has set the bar for innovation in maritime robotic systems. Our flagship product is the EMILY - EMergency Integrated Lifesaving LanYard, a Popular Science Best of What's New 2010 Grand Award Winner in the Security category. EMILY is used by clients from all around the world. The Idaho Aerospace Alliance (IDAA) is made up of manufacturers and service providers that support both the commercial and defense aerospace industries.The IDAA has strategic alliances with the education community and state agencies to build the aerospace industry within the region. Alliance companies manufacture component parts for aircraft engines, control systems, cabin interiors, cargo systems, defense projects, and much more! IDAA members offer everything from the nuts and bolts to finished the finished Kodiak planes by Quest, and from MRO to the counter-UAS products to protect them. IKHANA Aircraft Services develops aircraft modification solutions for special missions operators of advanced airborne platforms using ISR equipment, FLIR/EO-IR, sensors/pods, radar, mapping systems, and advanced communications systems. While supporting a wide variety of aircraft we are also a world-wide leader in the DHC-6 Twin Otter series. IKHANA is the exclusive provider of the RWMI DHC-6 Re-Life™ Products (Fuselage, Wing Boxes, Nacelles, and Controls), the Twin Otter X2™ a “Zero-Time” Re-Lifed™ aircraft, maximum take-off weight (MTOW) increases, hard-points, camera ports, avionics, etc. IKHANA receives FAA Approval for DHC-6 Twin Otter aircraft to operate with a 14,000# (6350 Kg) MTOW. The Good Just Got Better, RWMI DHC-6- 300HG with a Standard Commuter Category STC approval. The Astronics Max-Viz EVS 2300 design incorporates a camera and power supply in one unit for easy aircraft installation. The system combines a long wave infrared uncooled thermal image blended with a visible light sensor for “seeing” LED lighting. The cockpit display shows terrain, runways, taxiways, aircraft and obstacles in poor visibility conditions, including light fog, haze, smoke, brown/whiteout, light precipitation and darkness. EVS provides what synthetic vision alone can’t…the real world in real time. IPT is a leading military distributor and worldwide supplier of OEM parts and equipment. For over thirty years, IPT has been providing strategic solutions for spares and repair requirements to our customers among all branches of the military and supporting fleets on behalf of over fifty OEMs. Beyond supporting the aftermarket and logistic needs of foreign end users, IPT actively maintains upgrades, capability development, and stocking programs. BUILD CONFIDENCE FROM THE GROUND UP. Whether you’re a show visitor or an exhibitor, Kallman Worldwide delivers more of what you’re going for in the USA Partnership Pavilion — opportunities, relationships and impact! Technology and products supporting strategic and transformational national security programs, bringing disruptive solutions rapidly to market. Lockheed Martin's support of Australia began in the early-1940s, and has grown into an extensive partnership with the Australian Department of Defence, national security agencies and local industry spanning the air, land, maritime, information technology, and space domains. Headquartered in the Canberra suburb of Kingston, Lockheed Martin Australia employs more than 900 people across Australia. Northrop Grumman is a leading global security company providing innovative systems, products and solutions in autonomous systems, cyber, C4ISR, space, strike, and logistics and modernization to customers worldwide. Please visit news.northropgrumman.com and follow us on Twitter,@NGCNews, for more information. Orbis Technologies, Inc. has been successfully delivering innovative, end-to-end data analytics and content management solutions to U.S. National Defense and Commercial communities. Our advanced solutions solve our customers’ complex data challenges. We serve our customers through comprehensive knowledge of data fusion, situational awareness, and actionable intelligence engineering as well as Enterprise and Software as a Service content management software. Orbis supports clients throughout the world from our headquarters in Maryland, USA and offices in Sydney, Australia and Chennai, India. Automating the production of your technical content! Turn-Key Systems Pty Ltd in Sydney, recently became part of Orbis Technologies, Inc. which headquarters in Annapolis, Maryland USA, provides next generation content management tools and platforms to address the 21st century manufacturing documentation management challenges. By using technologies to automate the document production and workflow process, linking of content within documents and the auto assembly of finished products, Orbis has significantly reduce the costs associated with the generation of technical publications. Phelps Industrial Products manufactures and distributes high quality gaskets, compressed packing, O-Rings, mechanical seals, hoses, belts, gasket material and other fluid sealing products. Founded in 1945 we have led the innovation in materials and equipment at every turn catering to a diverse and global customer base with wide ranging applications. Phelps offers fluid sealing solutions in an impressive permutation of materials, sizes and customizations. Raytheon Company, with 2017 sales of $25 billion and 64,000 employees, is a technology and innovation leader specializing in defense, civil government and cybersecurity solutions. With a history of innovation spanning 96 years, Raytheon provides state-of-the-art electronics, mission systems integration, trademarked C5I products and services, sensing, effects, and mission support for customers in more than 80 countries. Raytheon is headquartered in Waltham, Mass. Follow us on Twitter. Cosite Interference/Antenna Population Reduction, Minimum Adjacent Channel Separation, Transmit/Receive RF Distribution, Reconfigurable SIMOP, R2D2 Control. To Orchestrate means "to Combine and Arrange for Maximum Effect", and that is exactly what is performed by RF PRODUCTS' Tunable Filters, Multicouplers, Multi-Mode, Multi-Band RF Distribution Systems and R2D2 Remote Control . Since 1921 RF PRODUCTS provided RF building blocks for radio systems. Today we can design a complete radio system with you, and we can provide a packaged M3B RFD subsystem to reduce risk and installation cost. SAIC's Joint Range Extension (JRE) program was designed and developed to focus on the needs of the war fighter, featuring cutting edge tactical Command, Control, Communications, Computers and Intelligence (C4I) systems. Specializing in both Federated and “Under the Glass” Tactical Data Link (TDL) and Beyond Line of Sight solutions for Aviation platforms, our Aviation specific capabilities bring Situational Awareness and Command and Control to disadvantaged platforms. Team JRE provides unparalleled support and commitment to both our US and International customers 24/7. SAIC is a premier technology integrator solving our nation's most complex modernization. SAIC’s Joint Range Extension program was designed and developed for the needs of the war fighter. SAIC's Joint Range Extension (JRE) and Scale-able Networking Application Platform (SNAP) Tactical Data Link (TDL) systems extend the reach of critical, near real-time data to tactical edge forces…airborne, ground and maritime. JRE and SNAP provide a flexible Federated and Integrated, low cost Situational Awareness (SA), Digital Command and Control (DC2), and Blue Force Tracking (BFT) capability. SAIC’s solutions implement Line-of-Sight (LOS) and Beyond-Line-of-Sight (BLOS) connectivity between Link 16, SADL, Link 11, VMF, and BFT networks. SAIC’s JRE software affordably and reliably delivers full tactical data link situational awareness and digital command and control to the warfighter. Proven in combat under difficult conditions, JRE is the clear choice of men and women in the field. JRE has set the tactical data link standard around the globe. From a business and financial perspective, JRE offers the right combination of proven performance, affordability and availability. The U.S. Commercial Service, Los Angeles is a team of highly-experienced and dedicated professionals who are ready to assist you to develop international business strategies, to assess new international markets, and to identify potential buyers to grow your export sales. We are part of a worldwide network of trade promotion and policy professionals located in the U.S. Embassies and Consulates in over 70 countries and 106 locations across the United States. 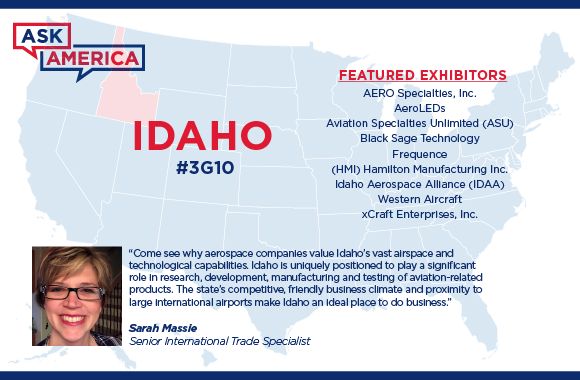 Idaho is geographically and strategically positioned to play a significant role in research, development, manufacturing and testing of aerospace products. With three research universities, a national laboratory, one of five Boeing-recognized training programs and two military air bases, Idaho has the tools, workforce and expertise for your business to succeed. In addition to its proximity to Boeing, Idaho’s assembly, maintenance, manufacturing and defense articles companies contribute to the 41% 10-year growth projection in Idaho’s aerospace industry. Idaho ranks high! Bloomberg and Kiplinger recently ranked the State of Idaho as the No. 1 Top Performing Economy in the nation. The U.S. Department of Labor rated Idaho No. 1 in job growth. The U.S. Census Bureau reports Idaho is the nation’s fastest growing state. In its 2018 rankings, CNBC rated Idaho No. 3 in the nation for overall business friendliness, No. 4 in cost of doing business and the No. 5 best economy. As the state's primary economic development agency, we stimulate private investment and create jobs by attracting new businesses, encouraging the expansion and retention of existing companies, and providing workforce training and financial assistance to Maryland companies. Commerce also promotes the state's many commercial advantages and its outstanding quality of life to spur economic development, international investment, trade and tourism. TCOM, LP is a global leader of Intelligence, Surveillance & Reconnaissance (ISR) solutions of Lighter-than-Air (LTA) Persistent Surveillance Tethered Aerostat platforms for air, maritime, and land. By blending leading-edge technology, manufacturing, and field operation capabilities, TCOM has provided ISR systems for the U.S. and foreign governments.TCOM is the only company in the world devoted to cost-effective LTA surveillance solutions with in-house aerostat and airship manufacture, assembly, flight test, and training capabilities. Thinklogical, A Belden Brand, provides secure video distribution and KVM (keyboard, video and mouse) extension and switching systems for defence and intelligence applications including command and control, VTC, surveillance, UAV ground control operations, and simulation and training. Thinklogical products enable instant situational awareness, improve cyber security, reduce the insider threat, and simplify the management of multi-classification information. Thinklogical products are IA accredited to the Common Criteria EAL4, NATO NIAPC, TEMPEST SDIP 27 Level B and U.S. DoD JITC UC APL 2013. Flexible, highly secure technology enables instant situational awareness and faster decision-making. Thinklogical, A Belden Brand, will demonstrate its secure, high-performance video distribution and KVM (keyboard, video and mouse) extension and switching systems for defence, intelligence and security applications in stand 3M11. Thinklogical helps organizations simplify management of multiple classifications, turning video-rich data into actionable information leading to faster decisions and improved mission outcomes. Thinklogical products are IA-accredited to the Common Criteria EAL4, NATO NIAPC, TEMPEST SDIP 27 Level B and U.S. DoD JITC UC APL 2013. The U. S. Commercial Service helps U.S. companies do business in Australia by finding distributors and end-users for U.S. products and services. It has offices in Canberra, Perth and Sydney and partnership arrangements covering the South Pacific. Its services include due diligence, market research, matchmaking, promotion of U.S. products and services at trade events and more. The U. S. Commercial Service also promotes Australian investment into the United States including the annual Select USA Investment Summit and - for the first time - is hosting a U S Investment Pitchfest at Avalon 2019. Unmanned Systems Source is an e-commerce warehouse with the fastest growing selection of unmanned parts, products, components, and systems available today. It is positioned as a single source of supply and information and serves commercial, governmental and public sectors. The state of Utah is home to a thriving aerospace and defense industry cluster, which leads the United States in aerospace technology development. Utah is home to Hill Air Force Base and the F-35 Lightning II program. The state's aerospace and defense competencies include design, composites manufacturing, software and control systems, sophisticated testing, and repair and maintenance. 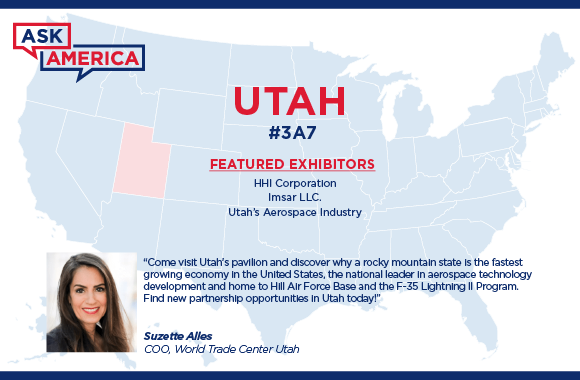 Utah’s aerospace and defense industry offers a diverse range of companies, products and systems for commercial and military applications and is home to many industry leaders. At Viasat, we’re driven to connect every warfighter, platform, and node in the battlespace. As a global communications company, we power millions of fast, resilient connections for military forces around the world. With innovations spanning in our secure satellite and wireless communications, we’re driven to redefine connectivity for the battlespace. Western Aircraft, a Greenwich AeroGroup company, is a worldwide stocking distributor with over 18,000 FAA-approved line items, rotable components, and modification kits ready to deliver in 24 hours or less. In addition to its stock of inventory, Western Aircraft has access to hundreds of thousands of other parts, components, used avionics and rotables via OEMs and other Greenwich AeroGroup-owned companies such as Professional Aviation Associates and Professional Aircraft Accessories. Want to speak with someone about parts for your aircraft? xCraft develops customized unmanned aerial systems for enterprise and military markets. We partner with companies in energy, security, public safety, and agriculture. You know your industry, we know drones. Let’s work together to build powerful flying machines that change the world! 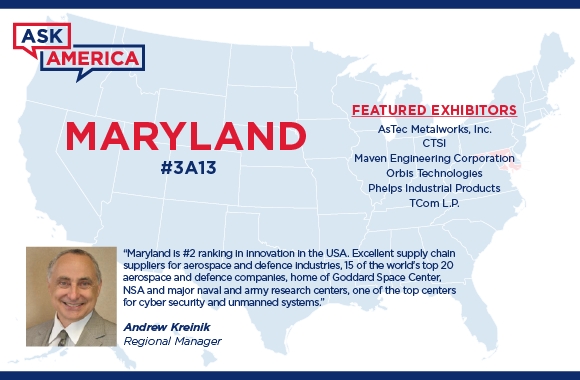 Avalon is a window not only to the large Australian market but also the wider Asia Pacific region; and the United States is home to innovative, leading edge companies in every aspect of aerospace and defence. What an exciting combination of capability and opportunity!"